The quickest way to connect is with someone is to say thank you. 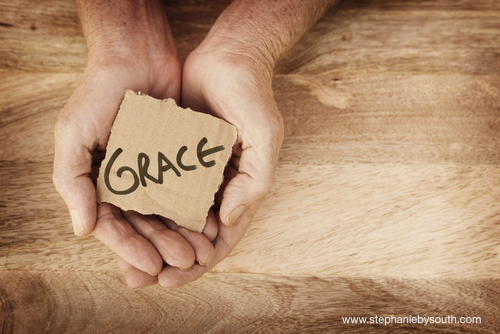 When I was growing up grace was far more common than it is today. Being grateful when socialising was a sign of respect for the host and other guests. Saying grace before dinner was often a short pause in the day to still ourselves among the pace of our busy lives. Some say grace to their beliefs others say thanks for the food on the table in front of them and some say thanks to each other. Although more commonly regarded as a religious practice it is more definitely a human(e) practice. Maybe it was more common among my elders because of the World Wars that they endured; having to survive without food and without the miracles of modern medicine that encouraged them to acknowledge the grace of others much more frequently than I see today. In fact, in many ways having to do grace as a child with so many different cultures taught me the elegance of respectful engagement. A way more powerful connecting gesture than just vomiting self-expression like a Kardashian. When I think of global changing leaders I admire - they all had an elegance of grace about them; Gandhi, Mandela and Maya Angelou to name a few. Understanding how different communities gave thanks also taught me to appreciate and accept what I have for what it is; sausages, peas and potatoes are what they are and with that, we had full bellies - thank you momma! When I look at many workplaces I look for grace; for active appreciation. Not to make a point or because I’m there to help people. I look for it because it actually dispels stress and accelerates interactions among teams. Unfortunately, the art of active appreciation has been lost among the busy-ness and sprinting towards a performance goal. Is your workplace suffering from Gratitude Deficit Disorder? Being appreciative and practicing gratitude not only helps relieve your stress within yourself, it also helps to build stronger relationships within teams. The Christmas Appreciation Gift Tree exercise is one you can do with your team at work. It’s a very simple exercise that engages a number of EQ muscles; acknowledging others for their good work, recognition of peers, gratitude towards each other and most importantly I’ve never done this retro format without a few good laughs. Do you have a Gratitude Deficit Disorder in your team? When someone last said thank you to you did it change your stress? Grace helps you to play smarter within a team and to achieve for yourself, how are you going to be grateful today? Thank you for reading this all the way to the end.